Asiatic Lily is back in vogue to create a picture perfect bouquet. Pink Asiatic Lilies are brought together with dark Pink Green delistar and Green berries hand tied with Green and Pink Raffia knot that altogether exudes a natural beauty. 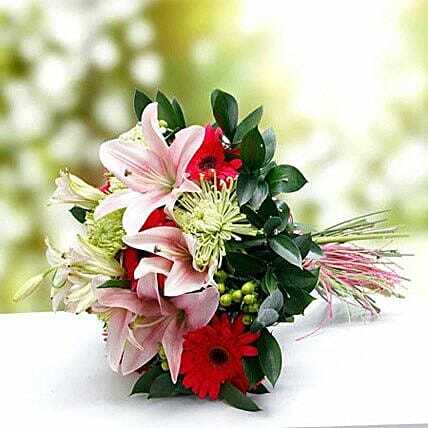 This exclusive bouquet is sure to prompt a radiant smile on your dear ones.